Doesn't this picture just look cold? 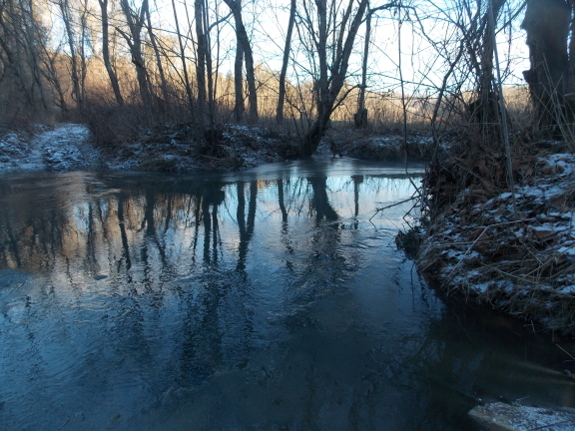 This was 9 am Tuesday, when the temperature had warmed slightly, up to about -1 F. The creek was starting to freeze over, and had risen about a foot due to (I assume) narrowing of the sinkhole opening from ice. Four hours later, if anything, there was more ice formation. (The view above is from the opposite bank compared to the first photo.) 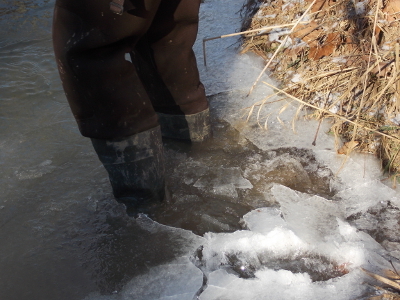 Mark had to get out there in hip waders to break through the ice and push icebergs out of the way so I could tiptoe across in my calf-high boots (and so the truck wouldn't bog down in frozen water). We tried to keep Lucy out of the frigid water, but she wasn't interested in being coddled. 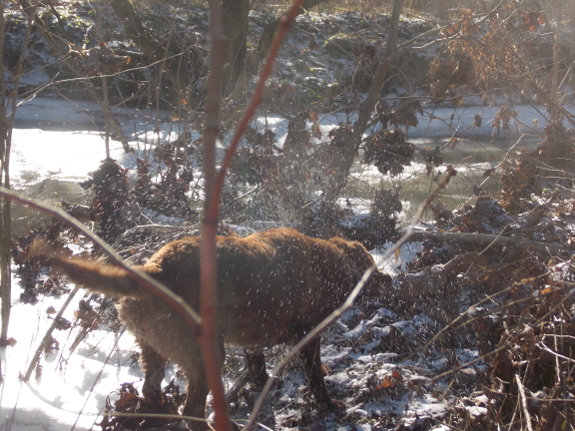 Here she is shaking out the damp after a swim across the creek. The water soon froze into ice crystals in her fur. Those of you who haven't been to the farm in person might not realize how amazing the photo above is. 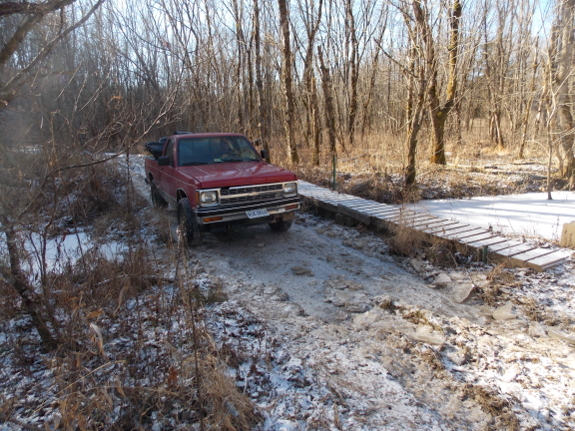 This is the old path of the creek, aka the alligator swamp, and the truck is rolling over the ice without cracking it. That means there must be at least eighteen inches of solid ice under those wheels! The high Tuesday was 15 degrees, but the sun was brilliant enough to cause some thawing. 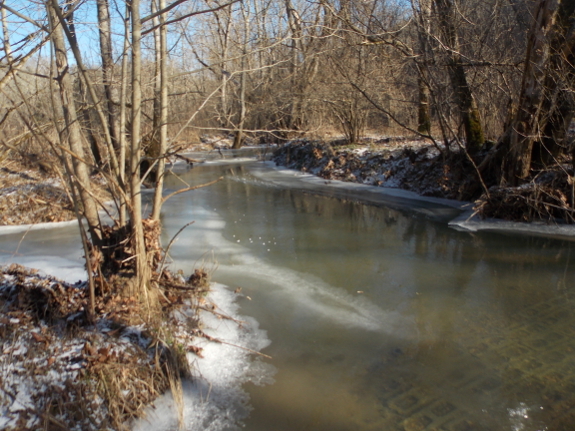 By the time we finished three rounds of hauling, about 3:30 pm, the creek had gone back down to normal levels and some of the snow was gone. And Mark and I were thrilled to have survived the cold adventure! The top photo is wonderful. I love the way the trees reflect on the ice.